Heavy rains this spring have raised water levels on the Missouri River, but officials with the U.S. Army Corps of Engineers says it’s nothing they can’t handle. May runoff in the Missouri River Basin above Sioux City was 110 percent of normal, while June rains increased flows on many tributaries. 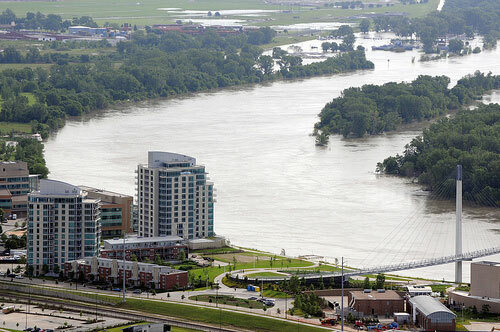 Several tributaries of the Missouri are dumping water into the river, causing minor-to-moderate flooding from St. Joseph, Missouri, on to the south. 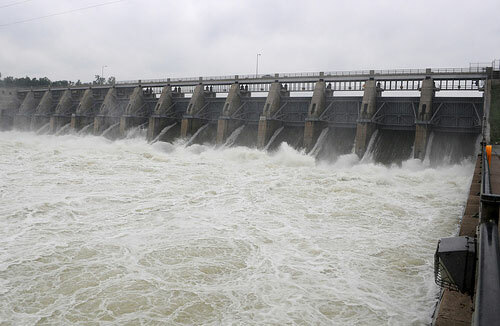 Farhat is chief of Missouri River Basin Water Management for the Northwestern Division of the Corps, and says, so far, the system of dams and levees is handling the excess water. “We have the ability to deal with that type of rain and we have storage in the reservoirs,” Farhat says. “We’ll just manage the water that we have and as rains occur, we’ll just deal with it in the best way that we can to reduce the flood risk downstream.” At the current rate, she says the excess runoff is moving through with very limited flooding. Farhat says she’s keeping in close contact with the National Weather Service and the Climate Prediction Center on what the summer ahead might hold for the Missouri River Basin. “They’re looking for this wet pattern, particularly across the lower portion of the basin, so, Nebraska, Iowa, Kansas and Missouri, to continue for the next month to three months, that it would be above normal,” she says. The recent rains follow a very wet May. The state climatologist says any individual location in Iowa had between 20 and 25 days of rain during the month, roughly double the usual number of days.